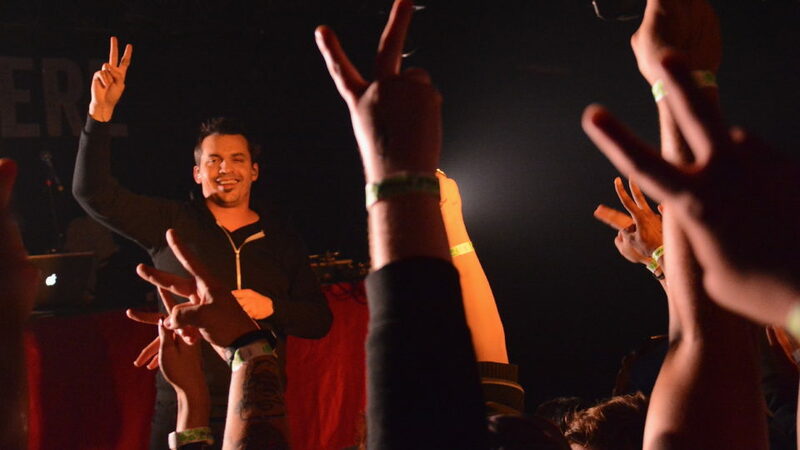 Iowa City was the second stop on Atmosphere’s North of Hell Tour. 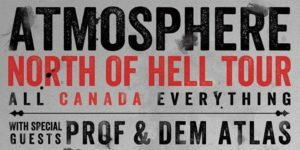 Sunday November 2, Atmosphere brought their “North of Hell Tour” to Blue Moose Tap House. 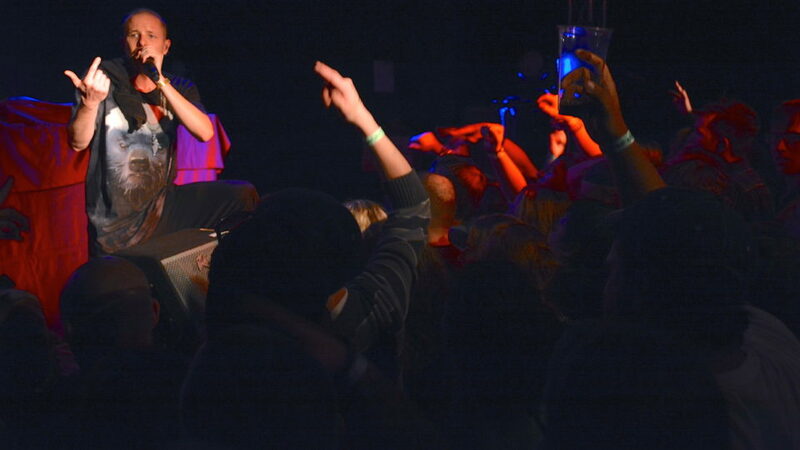 Emcee Slug’s highflying rhymes more than pleased the eager Iowa City crowd—one that felt like home for the Minneapolis bred tandem. DJ Plain Ole Bill joined the group on stage, trading off tweaks & scratches with DJ/producer Ant. 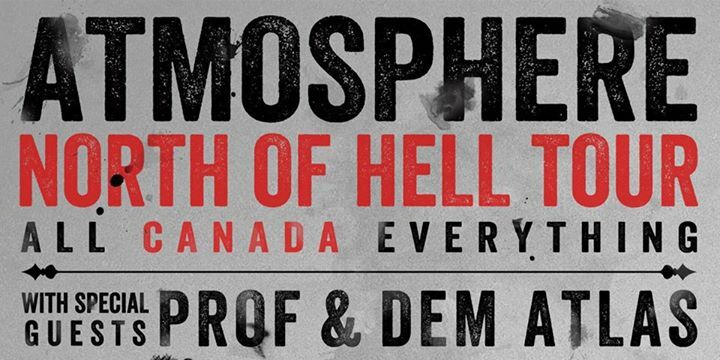 The Rhymesayers extravaganza bill included Dem Atlas and Prof, both Minneapolis born, as openers for the legendary hip hop act. Dem Atlas was the first to hit the stage. 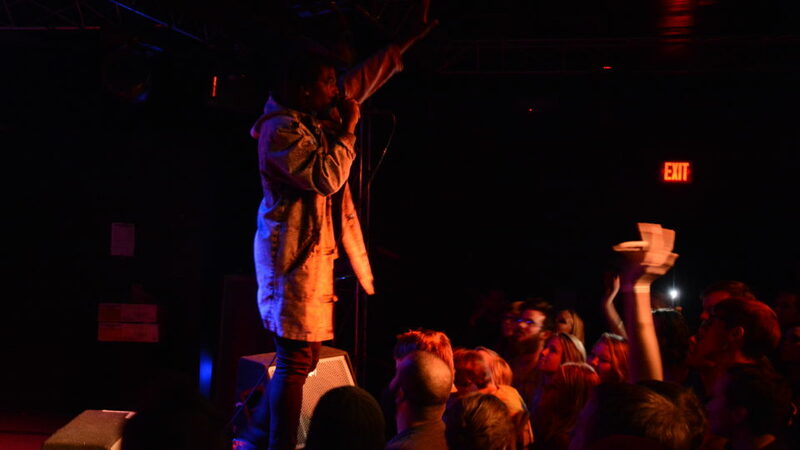 Positivity, screaming, and flailing dread locks created an electric energy on stage. The 22 year old emcee’s material consisted mostly of his Charlie Brown EP, culminating in a passionate performance of “All We Got”—a call to arms to today’s youth to stand up and fight for all that’s good and just in the world. 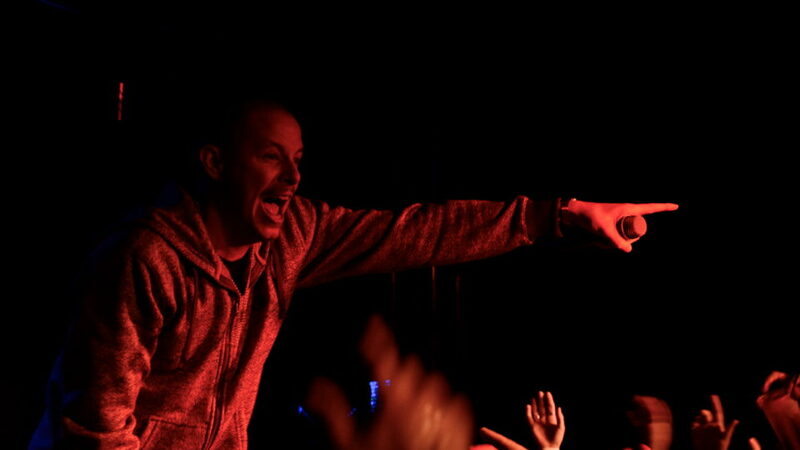 Rhymesayers Entertainment’s second act of the night was Prof who made sure to bring the party. Dressed in a honey badger t-shirt, his tenacious demeanor reflected that of the vicious mammal. 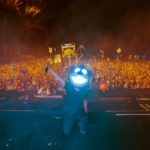 Playing his energetic tracks “Farout” and “Me Boi,” his passionate storytelling meshed with DJ Fundo’s mixing were nothing short of hype. 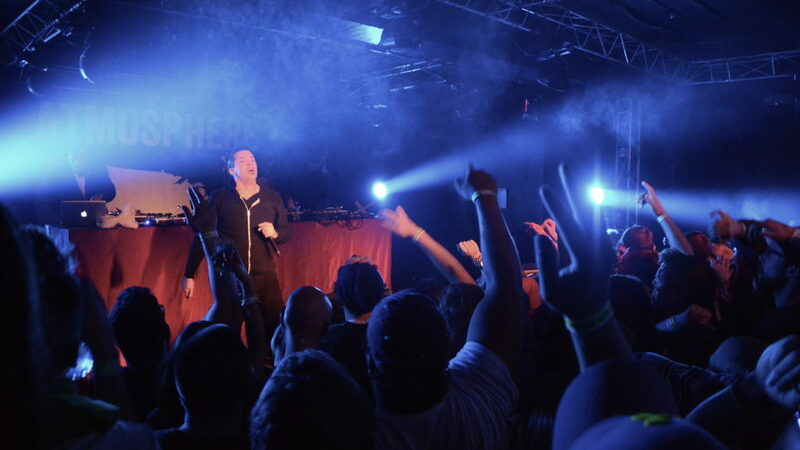 Atmosphere didn’t pause to chat it up with the crowd as Slug jumped quickly into their lyrical history. 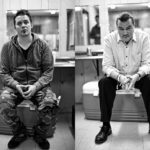 Covering everything from their days before Rhymesayers Entertainment with “God’s Bathroom Floor,” to their latest single “Kanye West,” Slug’s poetic lyricism meshed with the cohesion of Ants classic mixes created an exciting evening. Rooted in northwest hip hop culture, Atmopshere’s music consists of heavy lyrical content over alternatively influenced beats. No better example would be the track “Flicker,” from their eighth studio album Southsiders. 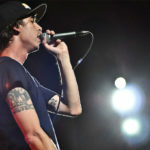 Written in memory of label mate, fellow rapper, and close friend Eyedea, Slug’s emotional performance was met with a see of flickering lighters and cell phone screens. While the rest of the show Slug is backed by Ant and Plain Ole Bill on the 1s and 2s, Slug is left alone for this one with just the background track playing. This choreographed move makes for a meaningful tribute to their lost Minneapolis brother. Closing the night, Dem Atlas joined Slug center stage to trade off freestyles–A signature move that is the mark of this true hip hop legend. Checkout some photos from the show below. Dem Atlas performing at Blue Moose Tap House. Prof was the second opener of the night. Prof performing at Blue Moose Tap House. Slug performing at Blue Moose Tap House. 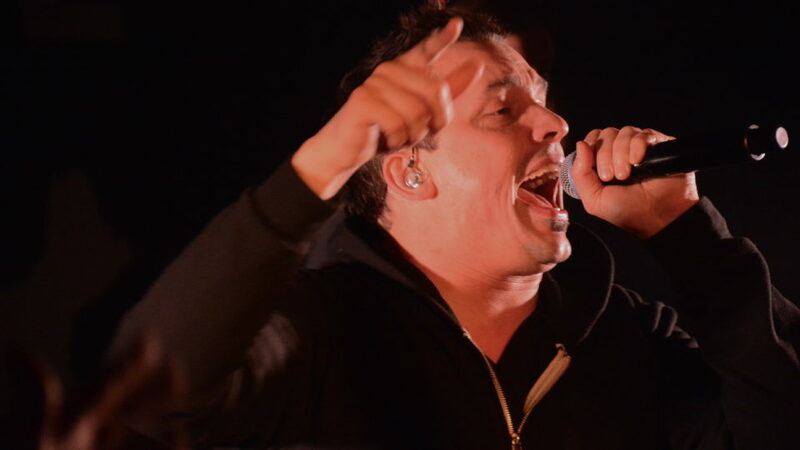 Atmosphere performing at Blue Moose Taphouse. 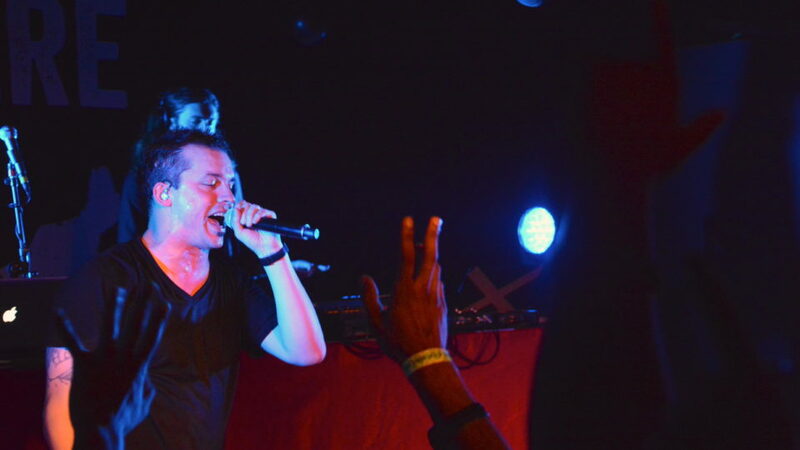 Slug soaking in the Iowa City crowd. 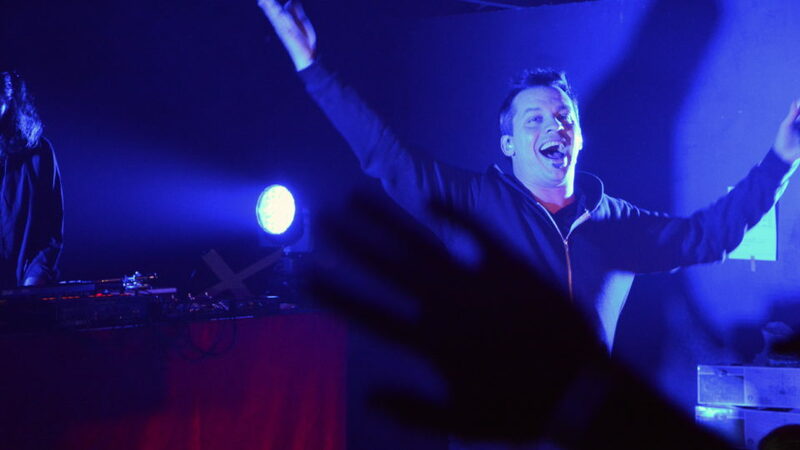 Slug showing love to the crowd. 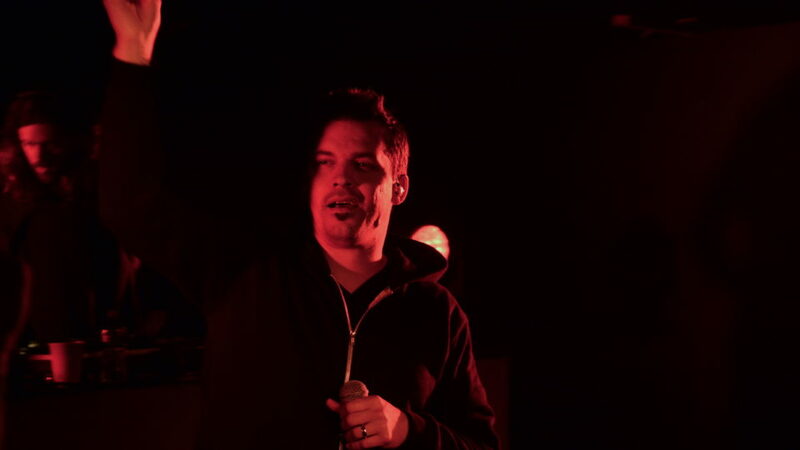 Atmosphere performing at Blue Moose Tap House.